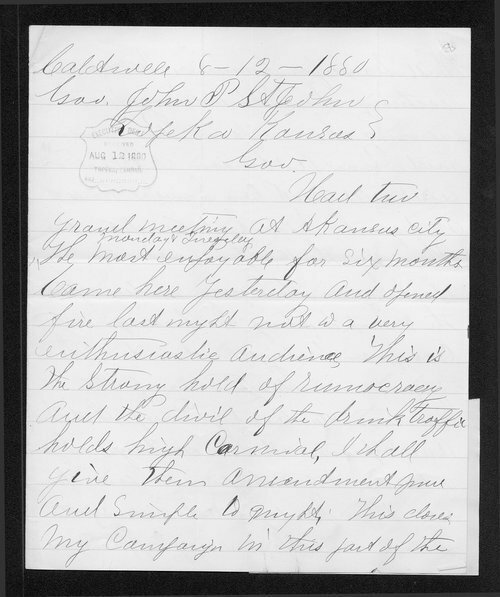 A letter to Kansas Governor St. John from a tireless and much-traveled temperance worker, E.B. Reynolds, who refers to the intemperance cause as "rumocracy". Reynolds summarizes his travels and progress in Kansas.